Fourteen wonderful jewelleries are up for grabs at only NZ$5 per ticket. 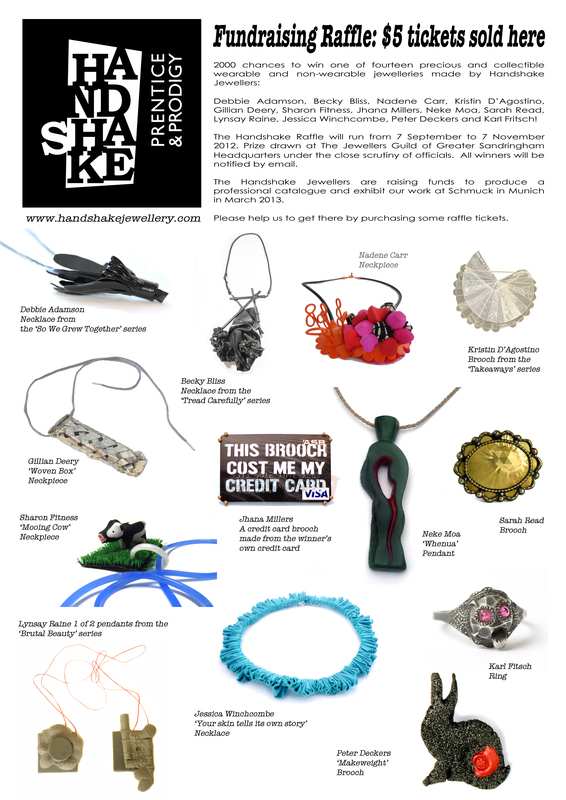 Email me at handshakejewellery(at)gmail.com to get your ticket now. This entry was posted in becky bliss, debbie adamson, gillian deery, handShake, jessica winchombe, jhana millers, karl fristch, kristin d'agostino, lynsay raine, neke moa, peter deckers, sarah read, sharon fitness on September 7, 2012 by kristindagostino.